To what degree is the association between educational inequality and laryngeal cancer explained by smoking, alcohol consumption, and occupational exposure? Urinary mandelic acid concentration after occupational exposure to styrene and its use as a biological exposure test. Exposure to anesthetic gases and ethanol during work in operating rooms. Disturbances in psychological functions of workers occupationally exposed to styrene. Long-term exposure to jet fuel: an investigation on occupationally exposed workers with special reference to the nervous system.  Statistical evaluation of the results of measurements of occupational exposure to air contaminants. A suggested method of dealing with short-period samples taken during one whole shift when noncompliance with occupational health standards is being determined. Central nervous defects in two children of mothers exposed to chemicals in the reinforced plastics industry. Chance or a causal relation? Long-term exposure to jet fuel. II. A cross-sectional epidemiologic investigation on occupationally exposed industrial workers with special reference to the nervous system. Evaluation of occupational exposure to xylene by blood, exhaled air and urine analysis. Effect of occupational exposure to organophosphorus insecticides on neuromuscular function. Long-term exposure to electric fields. A cross-sectional epidemiologic investigation of occupationally exposed workers in high-voltage substations. The case-referent (case-control) study in occupational health epidemiology. Congenital defects and occupational factors. A comparison of different methodological approaches. Reactions to hand cooling in workers occupationally exposed to cold. Anesthetic gases as an occupational hazard--a review. Breath concentration as an index of the health risk from benzene. Studies on the accumulation and clearance of inhaled benzene. Increased sister chromatid exchange frequencies in lymphocytes of nurses handling cytostatic drugs. A cross-sectional medical and industrial hygiene survey of workers exposed to carbon disulfide. A rapid method for the selective analysis of total urinary metabolites of inorganic arsenic. Formaldehyde exposure in work and the general environment. Occurrence and possibilities for prevention. Obstetric histories of women occupationally exposed to styrene. Re: Nurminen M, Karjalainen A. Epidemiologic estimate of the proportion of fatalities related to occupational factors in Finland. Scand J Work Environ Health 2001;27(3):161—213.